Since last year, a brand-new approach to the treatment of Leukemia has been practiced at the Ella Institute for the Study of Melanoma at the Sheba Medical Center with remarkable results. Sheba Medical Center is also the only medical center in Israel where this unique treatment technology can be found. Leukemia is a cancer of the blood which, like other cancers, emerges as a result of DNA mutation. This condition, expressed by high numbers of abnormal blood cells, initially develops in the bone marrow and causes extreme and devastating symptoms such as bleeding, fatigue and increased susceptibility to bruising and infection. 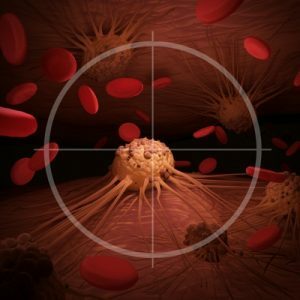 Though environmental factors such as radiation and certain genetic conditions can account for some of the cases, the cause for most cases of leukemia remains unknown. Sadly enough, this is also the most frequently diagnosed cancer among children. Moreover, most attempts at treating all types of this disease with radiation, chemotherapy and other standard methods are met with failure. "The new CAR T treatment saved my child"
Powerlessness and desperate – these words describe the feelings of 7-year-old Jonathan’s mother, when she learned that her son’s Leukemia relapsed yet again. Jonathan was initially diagnosed with Leukemia when he was only two and a half years old. Since then, Jonathan has undergone two bone marrow transplants, but unfortunately, they were not successful. However, thanks to a fundamentally new treatment method, the child's life was finally saved. Only a month after receiving this treatment at the Sheba Medical Center, Jonathan has fully recovered, and no signs of the disease were found in his body. Up until then, similar methods of treatment for Leukemia were only practiced at some of the most advanced hospitals in the United States. Sheba Medical Center was the first clinic outside the United States to offer this treatment and Jonathan - the first Israeli patient to successfully undergo it. The treatment in question is an innovative variety of immunotherapy - CAR T-Cell Therapy. At the initial stage of the treatment, specialists from the Sheba Medical Center extracted a certain number of immune system cells from Jonathan’s blood and modified them. As a result, Jonathan’s immune system gained the ability to recognize cancer cells by specific parameters and deliberately destroy them. What is Adaptive Cell Therapy (CAR T-Cell Therapy)? Adaptive Cell Therapy is a type of immunotherapy in which immune cells (T-cells) are isolated from the body of the patient, cultured or genetically modified in the laboratory, and then returned to the patient in an increased amount. One method of Adaptive Cell Therapy is CAR T-Cell Therapy, or therapy with a chimeric antigen receptor (CAR). Clinical trials have shown that this method is particularly effective for the treatment of Leukemia. In 2017, the FDA officially approved CAR T-Cell therapy as a treatment of children and young adults with Leukemia. CAR T-Cell Therapy involves removal of T-cells from the patient’s body. The protein expressions of the removed T-cells undergo genetic modification with the goal of enabling them to recognize a specific antigen which can be found on the surface of Leukemic cells. The receptor is called Chimeric because its hybrid molecules are composed of two different proteins - antibodies and T-cell receptors. The majority of existing antigenic Chimeric receptors are used to detect the specific marker CD19, which is found on the surface of white blood cells (B-cells). CD19 is expressed by both normal and cancerous B-cells. However, the levels of CD19 expressed by cancerous B-cells, which are responsible for the development of Leukemia, are exceptionally high. This way, CAR T-Cell Therapy is directed at the treatment of Leukemia which affects the B-cells. At the initial stage of this procedure, a blood sample is extracted from the patient (autologous treatment). The sample is sent to a specialized laboratory in which CAR-T cells are manufactured from the blood. In certain cases, a blood sample can also be taken from a healthy donor (allogenic treatment). The manufacturing process is identical for both autologous and allogenic treatments. Next, white blood cells are extracted and collected from the blood sample in a process known as leukocyte apheresis. The products of this process are stimulated to obtain active proliferation of specific T-Cells. The expanded T-Cells are genetically engineered to produce Chimeric Antigen Receptors (CARs). The modified T-Cells are then set aside to multiply, after which they are injected back to the patient’s body. Thanks to the modified receptors, these T-Cells are now capable of recognizing cancerous cells and deliberately destroying them. While modified T-cells are set aside to multiply, the patient undergoes chemotherapy, aimed to suppress the immune system by depleting the number of circulating white blood cells. This stage acts to increase the efficacy of the re-administered CAR-T cells by reducing competition for resources. The period of time required for this treatment is relatively short, taking approximately 10 days, after which the patient is typically hospitalized for two weeks, during which his rehabilitation is monitored. Genetically Engineered CAR-T cells were initially developed in 1989 by prof. Zelig Eshhar at the Weizmann Institute of science in Rehovot, Israel. The use of this revolutionary treatment for Acute Lymphoblastic Leukemia (ALL) was subsequently established by various medical facilities in the United States. Over the years, the sophistication of engineered CAR reception has grown, with research now being made on fourth generation CARs, capable of increased cell expansion, persistence and anti-tumoral activity. Thanks to the efforts made by Dr. Elad Jacoby, CAR-T treatments for ALL are available at the Sheba Medical Center. Dr. Jacoby is the attending physician at the Pediatric Hematology and Oncology Department and an investigator of pediatric cancer immunotherapy at the Edmond and Lily Safra Children’s Hospital, Sheba Medical Center. 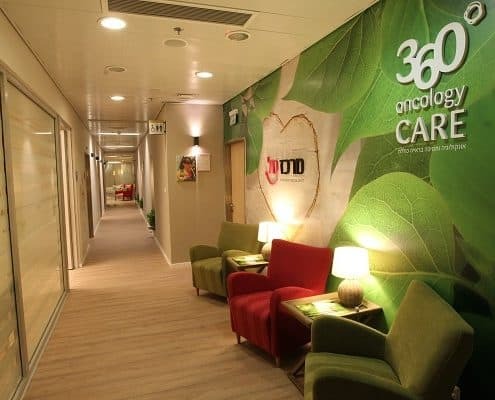 Thanks to his unique and comprehensive high-level training at the National Cancer Institute of the United States, CAR-T therapy is now an established treatment method in Israel. The first child to receive CAR-T treatment for Leukemia at the Sheba Medical Center experienced a complete remission of the cancer. In the past few years, the pediatric Hemato-Oncology Department at the Sheba Medical Center provided CAR-T cell therapy for 17 cases, 75% out of which resulted in complete remission. The efficacy of this treatment stands at 85-90% for young children, about 80% for teenagers and approximately 70% for the entire patient population.